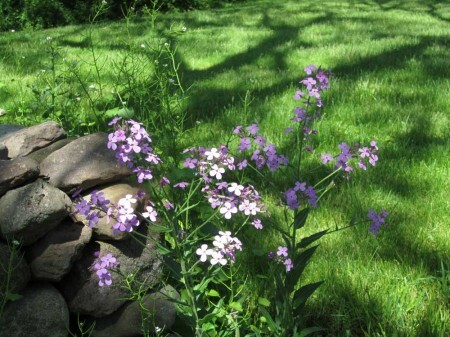 Most of us enjoy Dames Rocket (Hesperis matronalis) for its showy spring blossoms of whites, violets and pinks peeking out of the hedgerows and covering banks, but being in the mustard family it is also edible. 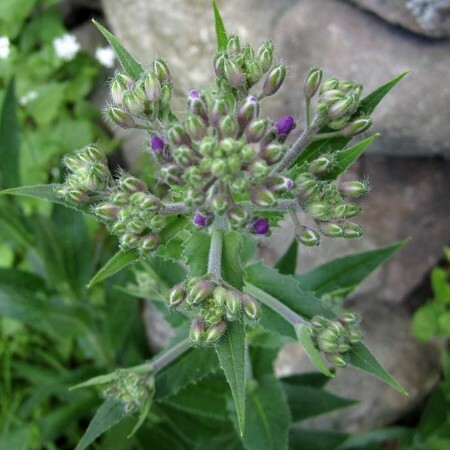 Best of all, it is a very hardy plant that can tolerate snow, frost and low temperatures, and is therefore a good winter forage. 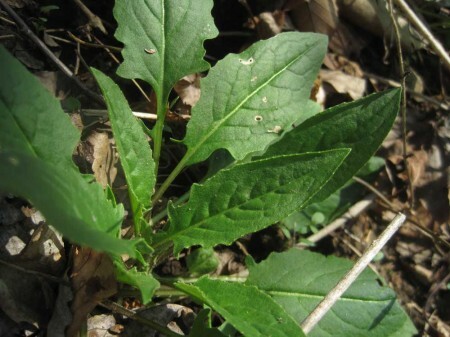 Basal rosette of leaves found in early winter, makes a nutritious and bountiful harvest. When the plant isn’t distinguishable by its colorful cruciferous flowers, we only have the leaf shape to go by, especially with the basal rosette, which is around from late fall through early spring. 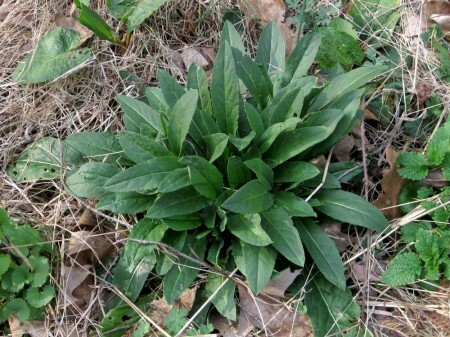 At this time of year the rosette will consist of elongated simple shaped leaves with irregularly toothed margins. Notice the irregular teeth and the fact that all surfaces are hairy. If you look closely at the teeth you will notice that they are shallow, uneven and that each point is rounded. 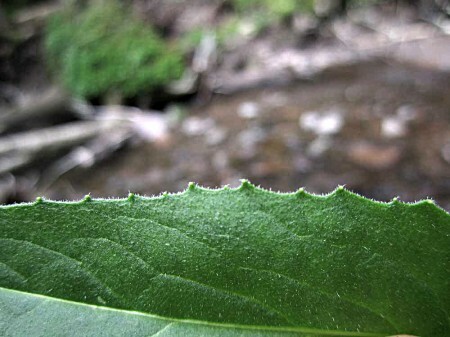 The surface of the leaf is rough and hairy, which probably accounts for its ability to withstand winter weather. The stems and petioles are also noticeably hairy. 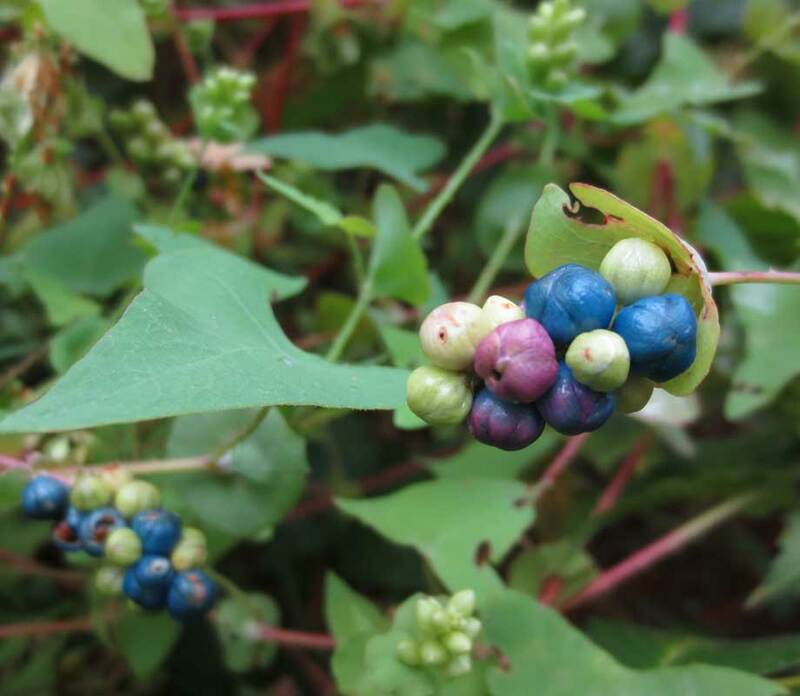 From the time that the flowers disappear in early June, the plant puts all its energies into producing its clusters of long seed pods and the leaves all but disappear. After seeding, in the fall it puts out fresh leaves in readiness for winter. By the spring, many of the leaves may have died off, but a surprising number manage to survive. As soon as the thaw comes, the basal rosette begins to regenerate into a bushy cluster. 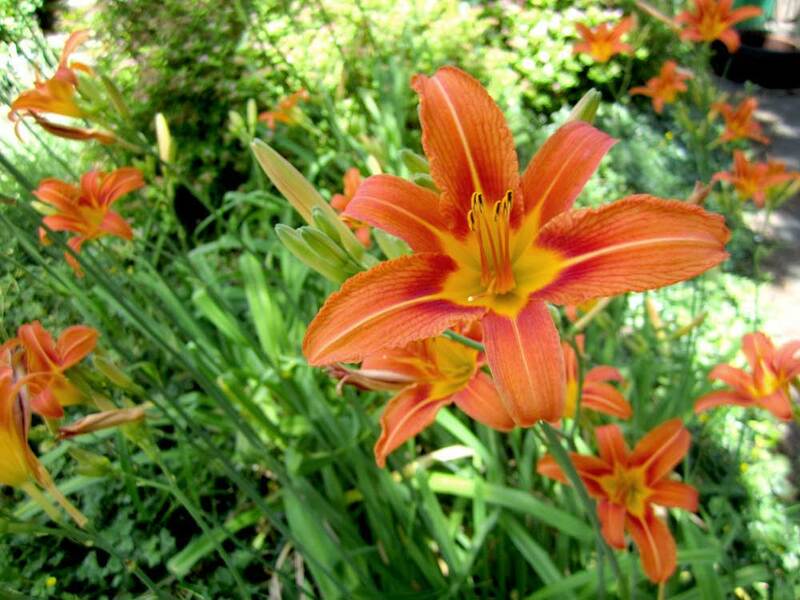 In May, the plant puts up a tall spike and the flowering cycle begins over again. Flower cluster ready to open in the spring. At this stage, they can be cooked like broccoli. The best time to harvest the leaves is in the spring before flowering, however, as it is one of the few plants that survive into late fall and stays around during the winter, it is a good green for those times when other plants are scarce. It may be eaten raw, but can be rather bitter or tough at this time of year. 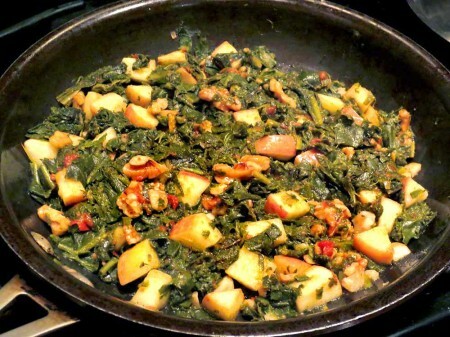 The leaves are best boiled for 30+ minutes to tenderize them, then they can be added to any dish you prefer.